The Brewery Workshop helps entrepreneurs build and grow great breweries. There are a limited number of spots available for this intimate opportunity for new and in-planning breweries to spend multiple days with the best minds in brewing. Move beyond the guesswork and spend four days in Chicago, Illinois, connecting with the experts who have built successful breweries. By learning from the experiences of brewers and owners who have been there before, you’ll save yourself the money and time lost in missteps. 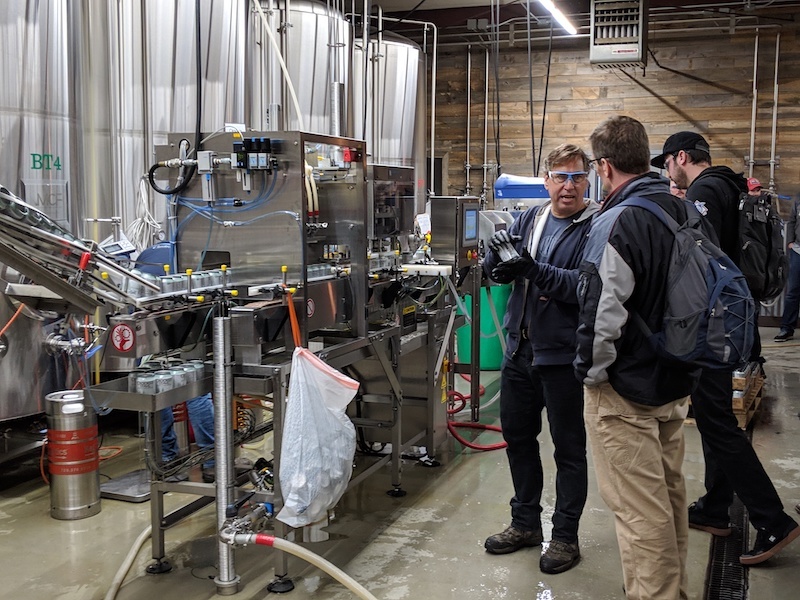 At this workshop, we'll navigate the ins and outs of establishing and growing a brewery through hands-on seminars and interactive technical brewery tours where you’ll have the opportunity to engage directly with the pros and your peers. 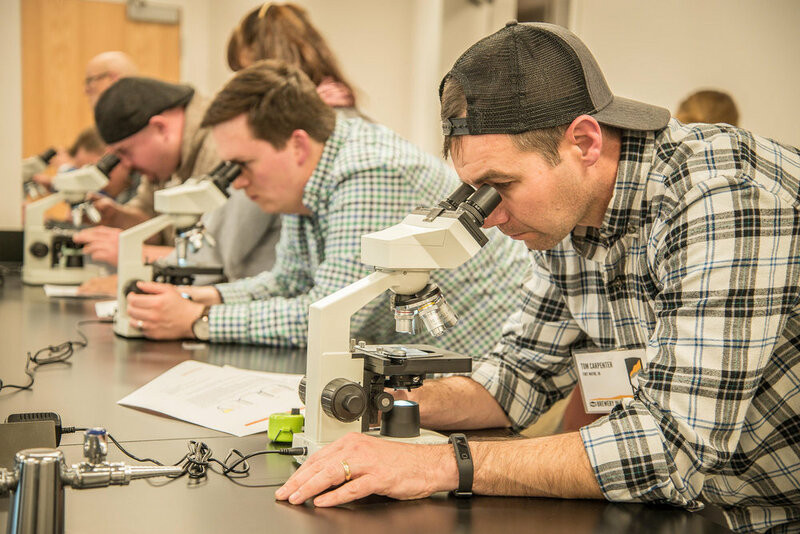 You’ll gain the skills to improve the efficiency of your brewery, create invaluable connections with others in the industry, and accomplish in days what usually would take months. The ticket price includes local transportation, lodging (ticket w/o lodging available), meals, seminars, brew day, technical brewery tours, one-on-one sessions with industry pros, chance to win advertising + yeast at pitch event ($3,000+ value), and networking events. This Brewery Workshop will run from August 25-28, 2019, in Chicago, Illinois. The event will be hosted at The Dana Hotel & Spa. All 6 of the previous workshops have sold out. Get your ticket early if you're interested (full refunds offered up to 90 days prior to the event). Description: How much capital do you need to survive? What’s the best corporate structure to protect you from liability while attracting investors? What are reasonable growth goals for a new brewery? How do you manage cash flow in a new business? What are some of the places to find loans and financing that aren’t immediately apparent? This seminar tackles the nuts and bolts of financing and starting up a new brewery, from partnership structure to attracting investors to managing cash flow over the critical first six months of operation. Description: Branding is more than just logo design. This seminar will explore the foundations and fundamentals of branding, review case studies of successful small brewery brands, consider authenticity and growth potential in brand development, and help you build a brand framework that you can extend to every consumer touch point. Description: Equipment is the single biggest capital cost of building or expanding your brewery. Learn from, then work one-on-one with experts to help you size, source, and place your equipment for day one and expansion. Description: The 20-Minute Sessions are designed to help connect you with innovative brewing companies, build valuable business relationships, and get feedback on your plans. Availability will be first come first served for attendees for your preference of expert. Description: Few startups have the money to defend lawsuits, and this seminar will help you proactively avoid costly legal issues that could delay your growth. Description: From cell counts to yeast sanitation to propagation and storage, this seminar will present cost-effective strategies for managing yeast to maintain the highest quality standards. Description: Pitch your brewery idea (distribution, taproom, growth, brewery, etc.) 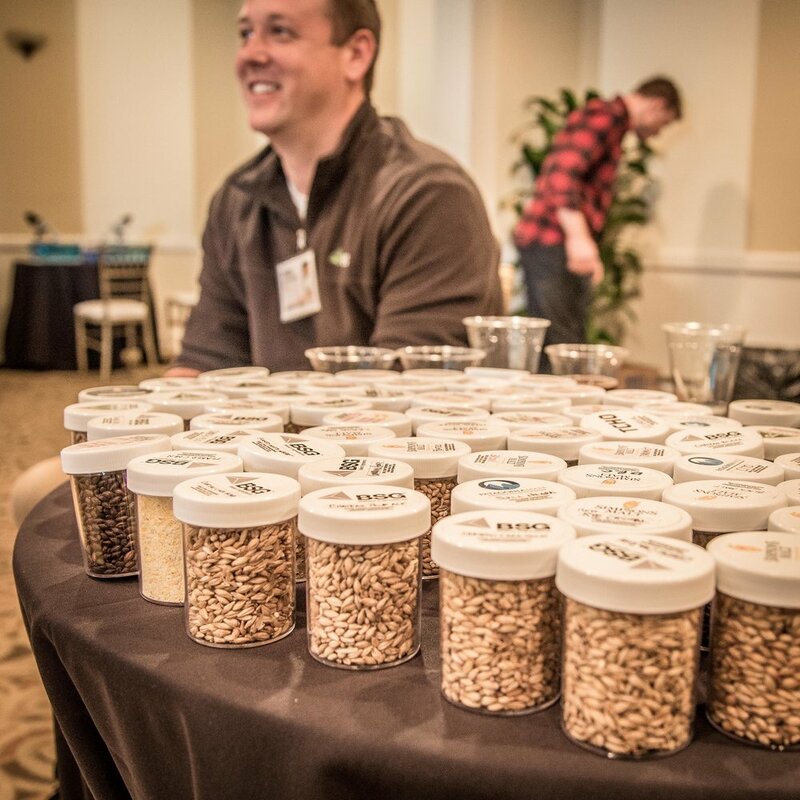 in less than 5 minutes to the best minds in brewing to get feedback on your strategy. The winner of the lightning talks will receive a free full-page ad in Craft Beer & Brewing Magazine® ($2,495 value) and a White Labs 10BBL Yeast Pitch. Description: So you brew great beer? Do you know what it costs to produce, how to manage/order ingredients, and price for different distribution channels. Join our experts in selecting the best tools, practices, and equations for running a profitable brewery. Description: From building a safe, effective malt workflow to the creative potential of craft malt, we’ll explore this unsexy but vitally important component to craft brewing. Description: It takes great ingredients to make great beer. This seminar, led by hops experts from well-known breweries and suppliers, will teach you how to identify great hops, handle them correctly in the brewhouse to maintain the highest quality, smell and test hops blends, make smart substitutions in hops as a result of year to year harvest differences or batch variation, and more. Description: Whether you’re a 1 bbl nano or a 100k bbl regional powerhouse, being able to taste the variety of attributes in your beer is vital to making the consistent and delicious product your customer expects. Additionally, the job of training staff to identify these attributes typically falls to you. 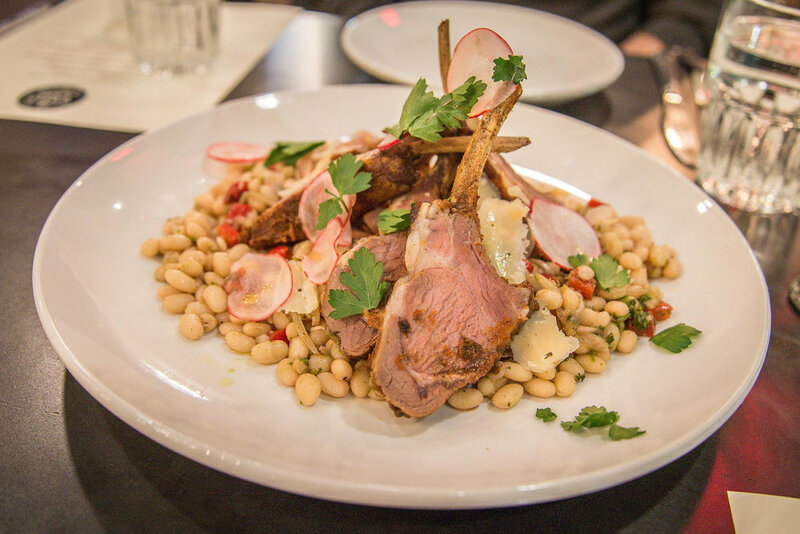 This seminar covers the basics of sensory analysis through hands-on tasting, and will give you a fundamental curriculum to train your own staff with. You may not be able to afford a full-time lab staff, but that doesn’t mean you can’t use techniques that the big guys use. FlavorActiV™ kits provided by BSG CraftBrewing. Description: We take a look at how the nations hottest breweries are putting out small batch barrel-aged stouts, sours, wild ales, saisons, fruited beers, and New England-Style IPAs. Description: Experts explore the ins and outs of marketing channels with the best ROI. They’ll answer questions regarding event attendance, working with PR companies, paid media, organic reach, and much more. Now that you have great beer and a successful brand strategy, this seminar will teach you how to build and foster your audience. Description: There are no better margins on your beer than those you get from selling it directly to consumers. This seminar focuses on how to create an environment that maximizes revenue through design, equipment/POS selection, operational strategies, retail, guest taps, and more. Description: While craft beer’s heyday was marked by a “if you package it, they will buy it” mentality, today’s competitive retail market makes selling beer profitably through the retail channel more and more difficult. In this seminar, we’ll discuss common issues such as distributor contracts, format challenges, SKU management, and more. Instructors - More Than 30 Coming Soon! Jon began his career as a summer brewing intern at Drakes Brewing Co in the early 2000’s while attending UC Davis, studying Brewing Science. After graduating with a BS in Food Science Technology (Brewing Emphasis) and a BA in Political Science in 2005, he went on to work for Anheuser-Busch in their Research Pilot Brewery. The 20hL brewing system there cranked out over 1,000 brews per year with a small devoted staff helping to evaluate brewing processes, raw materials, and new product development. He then moved on to manage brewing process and reliability at another Anheuser-Busch brewery in Merrimack, NH where he remained until 2010, leaving to return to the craft side of the beer industry. Jon’s next post in the beer world came as the Assistant Brewmaster for Dogfish Head Craft Brewery, overseeing day-to-day operations at the production brewery in Milton as well as recipe development and brewery ops at the DFH brewpub and Distillery in Rehoboth Beach, DE. In 2011, Jon left Dogfish Head to return to his home state of California taking a role as one of the founding partners of, and Brewmaster for, Golden Road Brewing in Los Angeles, CA. He oversaw all brewery engineering and design, new product development and operations, staffing, training, and construction/installation of both a 15bbl pilot system and 50bbl production brewery there within the first 18 months of operations. In 2013, Carpenter left his partnership with Golden Road. Shortly thereafter, Jon signed on with Alchemy and Science Brewing Collaborative as Brewmaster. Over the next 4 years, he oversaw the 5 companies making up the collective – Angel City Brewery in Los Angeles, Concrete Beach Brewery in Miami, Coney Island Brewery in Brooklyn, Traveler Beer Company, and The Just Beer Project, including contract brewing operations in Cincinnati, OH and Breinigsville, PA. During that time, he was also able to design and oversee construction of two ground-up brewery builds – a 10bbl pilot brewery in Brooklyn and 20bbl small production brewery in Miami, as well as the expansion and buildout of Angel City Brewery in LA. 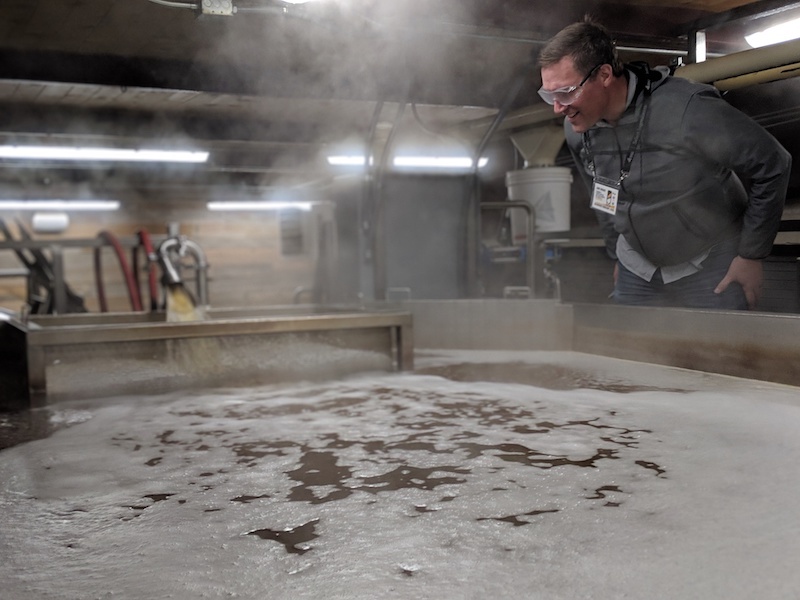 In early 2017, Jon left his role as Brewmaster for Alchemy and Science, joining the team at Kathinka Engineering and Labs in Fort Collins, CO, supporting clients as an independent technical and creative consultant throughout the beverage industry, with whom he worked until mid-2018 before founding Opensō Consulting. Jon lives in Los Angeles, CA. Candace L. Moon, Esq is an attorney and partner at Dinsmore & Shohl, LLP. Since 2009, she has worked with over 350 craft breweries and craft breweries-in-planning nationwide, handling business entity formation, alcoholic beverage law, contract review, trademark law, and other legal needs. Moon is a frequent lecturer for both state and national craft beer conferences as well as an instructor for craft beer certificates at San Diego State University, and UC San Diego. She has spoken and taught continuing legal education (CLE) for various legal associations, has written numerous articles and appeared on a variety of nationally televised broadcasts including CBS This Morning, MSNBC and Fox Business. Candace’s undergraduate degree is from the University of Virginia and her juris doctorate is from Thomas Jefferson School of Law in San Diego, Calif. She can be reached at Candace.Moon@DINSMORE.COM. With over twenty years experience in the profession, T. Dustin Hauck has participated in all aspects of architectural practice. As principal of the firm, Mr. Hauck is the driving force behind all of the firm’s projects and designs, responsible for project management and document production. His combination of thorough analysis, client considerations, and attention to detail constitute the foundation of Hauck Architecture’s approach to every project. Since their first brewery project for San Diego's 71st brewery, Benchmark Brewing Co. in 2012, Hauck Architecture has established themselves as the go-to architectural firm for breweries, working with over 75 craft breweries to date. Mr. Hauck, an avid home brewer and craft beer enthusiast, possesses the skill, experience, passion and reputation for planning and executing a successful project, while coordinating with all engineering consultants, contractors and governmental authorities. Laura Lodge learned about the distribution tier working with a small, independent distribution company in the mountains of Colorado. Job? Everything, including entering orders, loading/routing trucks, delivering product, all aspects of accounting and managing the office, and more. She shares her experience to benefit the artisanal/craft business owner in Distribution Insight for the Craft Brewer, designed specifically for the brewer learning about distribution. Lodge consults with brewers and distributors as an element of her consulting business, Customized Craft Beer Programs, and is also the coordinator of the well-known Big Beers, Belgians & Barleywines Festival held in the mountains of Colorado each year. She consults for the resort industry with regard to craft beer integration with food & beverage programs, including clients such as the Vail Cascade Resort, Gateway Canyons Resort, and Beaver Run Resort. Creating and assisting with craft beer events is another facet of her business, including working with Craft Beer & Brewing Magazine® to create their Brewers Retreats, with Destination Services of Colorado for client events, with Brush Creek Ranch & Spa for their guests, and with the Brewers Association for both SAVOR: An American Craft Beer & Food Experience and the Great American Beer Festival Paired Pavilion. Laura lives in Vail, Colorado, and enjoys the outdoor lifestyle of the mountains. Jamie’s focus is on content and product, developing big picture vision while serving as Editorial and Creative Director for Craft Beer & Brewing Magazine®, working with creative contributors (writers, editors, photographers, illustrators, videographers) across media. He’s served in roles as diverse as Art Director, Editorial Director, VP of Content, and VP/Group Publisher for a variety of media companies, and is equally at home evaluating P&Ls or designing magazine pages. Michael has been working in the brewing industry at ABS Commercial since 2013 and is avid homebrewer since 2005. He was the first employee specifically hired for ABS Commercial starting under our sister company Atlantic Brew Supply. Through the growth of both companies, Michael has taken on many roles including sales in our homebrew shop, managing the homebrew shop, inventory management, orders, shipping and receiving of equipment, marketing and advertising, budgeting and currently oversees operations of 3 Sales Consultants and a team of installers, assemblers, warehouse employees, accounting, marketing and vendor ordering while maintaining sales with some of the best customer in the industry. In his spare time, you can find him at home with his wife and daughter, working on his 150 year old farm house, tending to the goats, chickens, honey bees, dogs and cats and visiting his favorite craft breweries. If you come by the office, make sure you say hi to his dog Leo! Favorite beers: Rochefort 10, Cantillon Fou’Foune and locally from Bond Brothers Disenchantment. Alex’s first foray in to fermentation was actually at a wine growers internship through the University of Georgia Sustainable Ag program. Realizing he had neither the patience of palate for wine, he soon pivoted to beer and never looked back. Since then he has worked in almost every aspect of the beer industry from retail to production and everything in between. Over 5 years ago, he helped open our sister company, Raleigh Brewing Company, where he served as yeast manager, head brewer and productions manager. Now with ABS commercial he wears just as many hats, covering sales, technical consulting and on-site brewing support. Alex resides in Denver, CO and heads up the Colorado wing for ABS Commercial. When not in the office or on the brewhouse, Alex can be found roaming the mountains with his wife, Natalie and their two dogs, Gracie and Wren. He also enjoys wrenching on and riding bikes, fermenting foods and tinkering with whatever needs tinkering. In 2004, BSG recognized that the craft brewing and homebrewing community needed a dependable source for diverse ingredients from around the world. Since then, we have earned the trust of our customers by delivering the finest brewing ingredients at competitive values, all backed by outstanding customer service and depth of industry experience. We continue to search the globe for new and interesting brewing ingredients that we can bring to our customers. Consequently, our product list continues to grow as we strive to better meet the needs of both professional brewers and homebrewers. Additionally, our knowledgeable and friendly sales and management staff comes from the professional brewing & homebrewing communities, so we can assist you in everything from recipe formulation to troubleshooting. Whether it's exclusive specialty malts, in-demand hop varieties, or premium brewing aids we have you covered; great beers are made from select ingredients. BSG is committed to being your partner, and shares your passion for creating outstanding beers. ABS Commercial is a full-service brewery and parts outfitter. From our corporate headquarters in Raleigh, North Carolina to our secondary sales office in Denver, Colorado, we are proud to offer brew houses, tanks and small parts to brewers across the country. Brew houses and fermenters from 3 BBL, ancillary components including steam boilers and chillers, stainless Tri-Clamp parts, yeast brinks and Sanke kegs. We have some of the quickest lead times in the industry along with a huge inventory of tanks between 3-90 BBL in stock! For more than 40 years, Clarion Lubricants has delivered one of the industry's broadest line of safe, protective food grade lubricants, including food grade, environmental and synthetic grade formulations that contribute to a more sustainable future. Clarion Lubricants is taking the lead with a complete line of lubricants designed to maximize the safety and sustainability of your business. Through our history of marketing white oils and food grade, we have learned how to optimize lubricant chemistry to help reduce the risks associated with product contamination and unintended environmental release while protecting your equipment. Clarion Food Grade Lubricants includes white mineral oils, hydraulic fluids, greases, synthetics and specialty lubricants. This line is widely used in a variety of food processing operations as well as the manufacturing of drugs and cosmetics. Clarion Food Grade Lubricants meet stringent standards of purity and performance for food and beverage processing, food packaging, cosmetic and pharmaceutical applications. All Clarion Lubricants are backed by the Clarion warranty. Learn more at www.clarionlubricants.com. Craft Beer & Brewing Magazine® is the magazine for those who make and drink great beer. We are committed to providing exceptional content to the craft-beer community. From the latest recipes, tips and techniques, features on beer styles, interviews with top brewers, beer reviews, and industry perspectives, we are the resource for all that is craft beer. 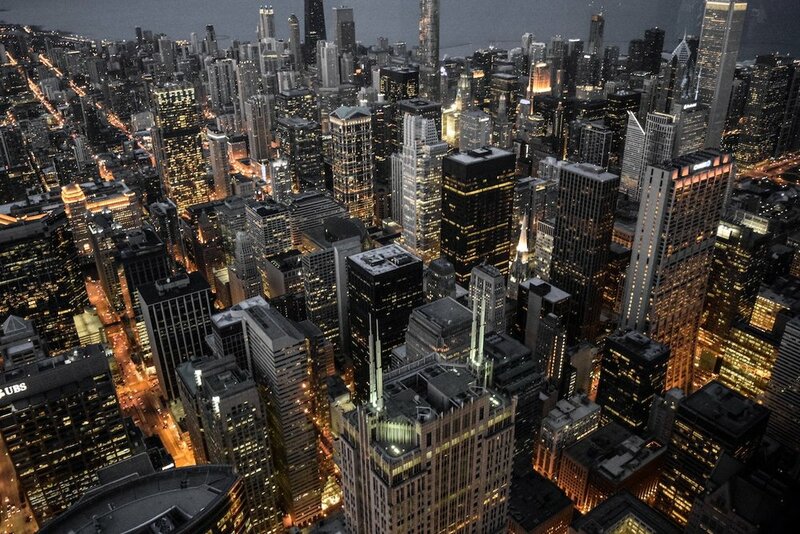 With more than 140 breweries, Chicago is one of the top beer cities in the world. From national favorites to lesser known but still delicious, there is something for any beer lover. 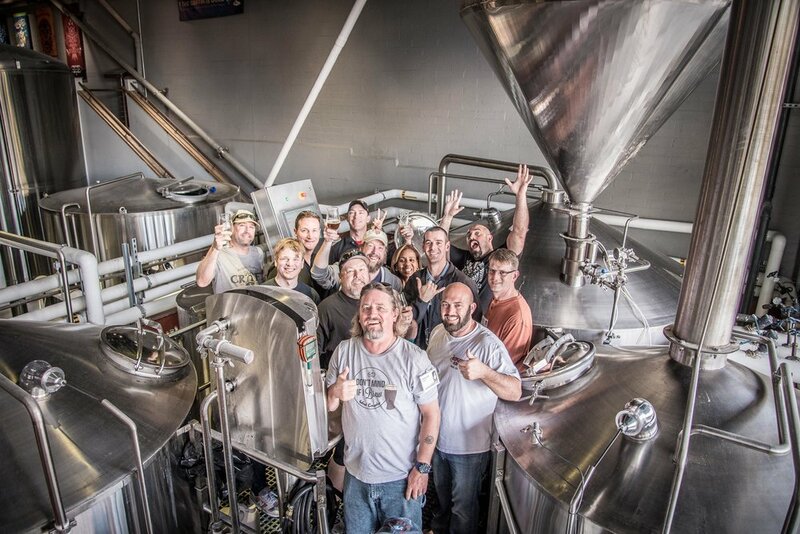 What better place to collaborate with some of the best minds in brewing than the hot spot that is Chicago. For 'Solo Room' ticket holders, you will be staying in the Dana Hotel & Spa in the River North District of Denver. The workshop will have no more than 50 attendees total. Yes, all transportation will be provided from the time the brew day starts (August 25) until the final brewery tour (August 28). How many drinks will I get during the meals? We will provide at least 1 drink coupon per technical tour and dinner. Anything above that can be purchased on-site. Are discounts offered for breakfast or purchased drinks? There are no discounts available to our group for breakfast or for individual beers purchased on-site. Where are seminars being held? Unless otherwise indicated in the itinerary, all seminars and hands-on workshops will be held at the The Dana Hotel. For any events offsite, we will provide transportation. If two of us want to share one room, what tickets should we buy? You should purchase one ticket with accommodations and one ticket without. If you'd like a room with two queen beds, please note that at checkout.